Hiring a Water Heater Service in Tempe to repair your water heater can be very stressful and put a damper on your plans. There are sure to be several plumbers in your area who service water heaters, but how do you know that you are hiring a reputable plumber. Today we are going to give you some tips as to how you can make sure that your plumber is the real deal! There are several things to keep in mind when you are choosing a plumber to repair and service your faulty water heater. The most important thing that you can do yourself is to make sure that the company is employed with licensed plumbers within your state, insured, and bonded. All of these things are very important and you should not hire any company that is missing any of these things as you are sure to be disappointed with the work you receive. Another great idea you may want to consider is asking friends and family if they have ever had their water heaters serviced by a local plumber and what their experience was like. This is a great way to get a ton of reviews regarding the plumbers in your local area. It also allows you to compare the different plumbers based on the reviews you receive. You may also want to contact plumbers personally to find out pricing, services offered, and the soonest they can service your water heater. This allows you to form your own opinions about each company and determine which company is the best match for your project. We hope these tips help you with finding the correct Water Heater Service in Tempe to repair your water heater in a timely manner. 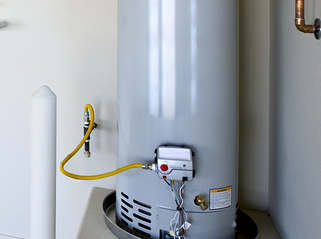 You are sure to get the best service for your water heater when you follow these tips!